At a very basic level, engineers are problem solvers. The creation of new and improved products is driven by problems that we face, whether at the consumer or industrial level. Engineers are experts at what they do. They've dedicated their lives to creating solutions and improving processes. We employ quite a few engineers at McHone Industries, so we understand the blood, sweat, and pride that goes into each design. So, no matter how laid back you are, it can be frustrating to hear your design can't be produced. Just because it can't be produced doesn't mean you have a bad design. Generally, an engineer's job ends when they finish their design. That means you create a winning design and someone else manufactures it. Therefore, many engineers lack an understanding of the actual manufacturing process and the machinery that will produce the components of the final product. There are limitations in the machines, materials, etc. that force us to keep our feet on the ground when we make tell a client what we can and can't produce. 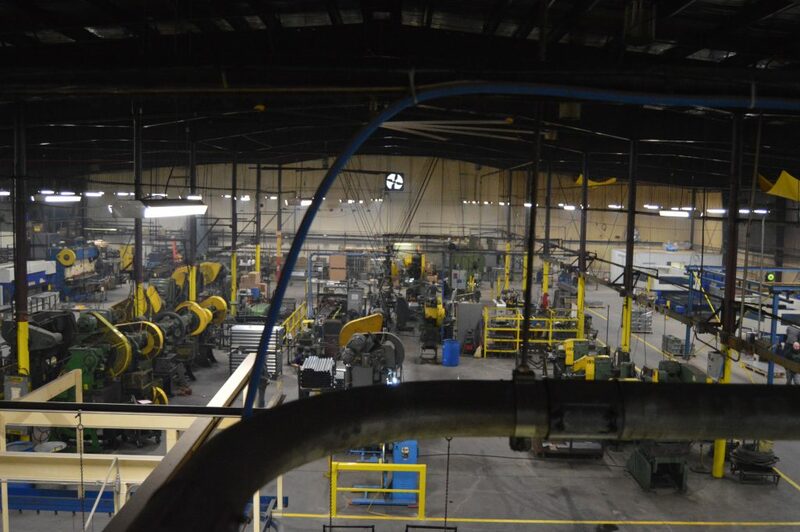 As manufacturers, we're intimately familiar with the production process. We understand what is and is not possible in the realm of metals manufacturing. Our engineers that we mentioned earlier have a complete understanding of manufacturing processes, and have assisted many of our clients in tweaking designs to make them more efficient, cost-effective, lighter, stronger, and whatever other improvements we know we can make. Of course, design improvements are only made with the blessing of the engineer. Because our engineers are so knowledgeable of design AND manufacturing, they can easily spot potential production issues (such as holes punched in an impossible place, awkward bend angles, etc.). In one case, we were able to take a client's design and streamline the process to manufacture it. We cut the production time from over 20 seconds to 4 seconds, saving the client a huge amount in labor and production costs. In our embossed tube case study, we helped a long-time client cut costs by switching materials and adding a little special something to preserve the quality of the original product. Not all manufacturers will quality control the product designs they manufacture. At the same time, some clients don't want their designs changed for any reason - even if that means creating an unstable product or pushing higher production costs. We're always up for a challenge, and we're always looking to streamline production and produce better final products. If you're the kind of engineer who values quality and is dedicated to improvement, we're the manufacturer for you.